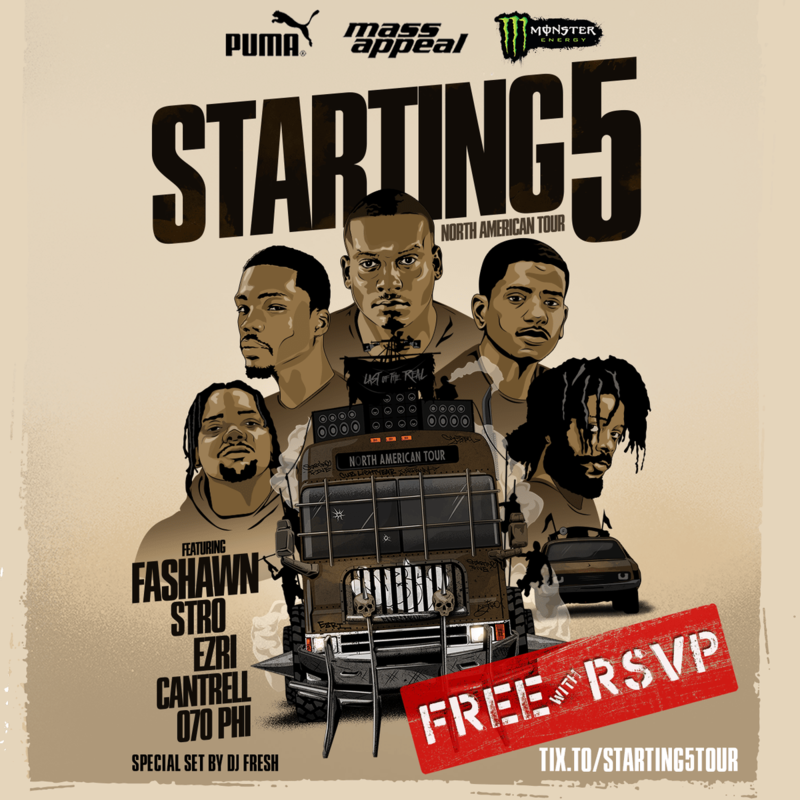 In partnership with Puma and Monster Energy, Mass Appeal presents the first-ever STARTING 5 North American tour showcasing the latest and greatest from Nas’ Mass Appeal roster of next-gen hip hop stars including Fashawn, Stro, Ezri, Cantrell & 070 Phi. This tour is now free thanks to Puma & Monster Energy! Each artist has designed their own shirt to be sold exclusively during The STARTING 5 Tour.